According to scientists, there is a 1 in 2,700 chance that in September 2135 an asteroid the size of the Empire State Building will smack into Earth, destroying a lot of living things on the planet. Asteroid Bennu has a diameter of more than 500 metres would unleash 1,200 megatons of energy on impact, 80,000 times that of the Hiroshima bomb. The asteroid weighs around 79 billion kilograms, some 1,664 times as heavy as the Titanic. 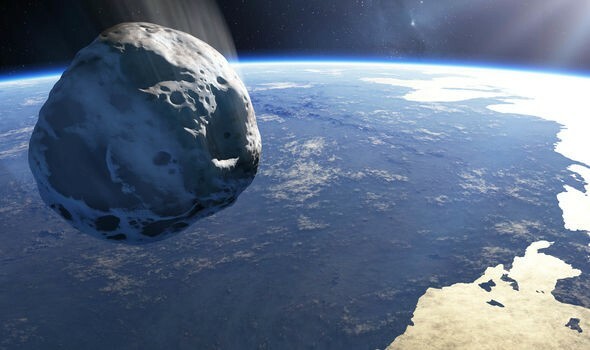 According to Washington Post, if asteroid Bennu decides to go rogue, NASA astrophysicists, through Hypervelocity Asteroid Mitigation Mission for Emergency Response (HAMMER), could send a nearly nine-ton “bulk impactor” to push it out of Earth’s orbit. Or, more likely, they would gently nudge it out of its apocalyptic path using a nuclear device. NASA’s OSIRIS-REx spacecraft, already been en route to Bennu for two years, contains instruments that "will map Bennu and establish the composition of the asteroid, including the distribution of the elements, minerals and organic materials." It will also scrape off a 2.1-ounce sample and bring it back to Earth, NASA says.